Oregon American Bulldog Rescue View other American Bulldogs for adoption. 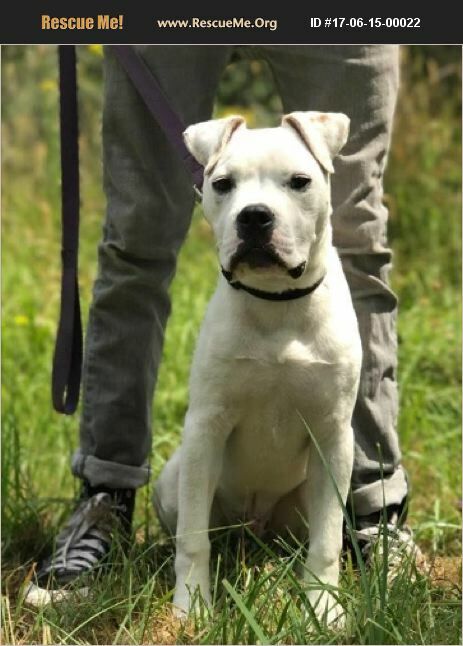 Polar Bear is a handsome and outgoing 7 month old Pit Bull/American Bulldog Mix. This goofy boy loves people of all ages, and is eager to learn and please. Polar Bear loves playing with doggie confident, non-confrontational doggie pals, but can be a bit over-load for some dogs, so making sure play styles/personalities match with his k9 pals is important. Polar Bear walks well on leash, knows his basic commands and is crate trained. This young guy loves snuggling, and will make an excellent adventure buddy by day and cuddle bud by night. Polar Bear is a loyal pup tat is longing for a human of his own to one with. He is neuters, up to date on vaccines, has been de-wormed and flea treated. For more info email adopt@northwestdogproject, or visit our website at northwestdoproject.org to fill out an application.